What repairs have the bank agreed to do? Is there a special "as is" form? Offers are usually emailed to the bank. The listing agent sometimes needs your originals. There is no formal presentation. Keep in mind: nothing happens evenings and weekends (banks are closed). Any real estate relating to a bank owned property happen during business hours. Since there is no face-to-face presentation to the bank, provide the listing agent with a pre-qualification or better yet, a pre-approval letter. Make your offer easy to accept. Find out how many offers are on the home. 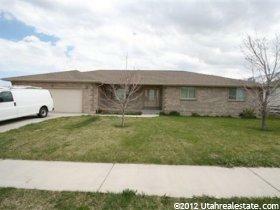 Paul Teasdale has sold hundreds of bank foreclosed properties in Utah County. Paulhas many ideas and strategies of how to get the bank to accept his clients offer when multiple offers come on a Santaquin Utah home. What is a Santaquin Utah Bank Foreclosure? The bank now owns the property and the mortgage loan no longer exists. The bank will handle the eviction, if necessary, and may do some repairs. Fannie Mae and Freddie Mac will often repaint and recarpet homes in Santaquin prior to selling them. Fannie Mae and Freddie Mac would just put the homes on the market and sell them as-is. However, it seems they realize they can get more money by making the home look cleaner and doing some repairs. A bank will negotiate with the IRS for removal of tax liens and pay off any homeowner’s association dues. As a purchaser of an REO property, the buyer will receive a title insurance policy and the opportunity to investigate the property. A Santaquin Utah bank foreclosure will be sold with a clean title. A bank owned property might not be a great bargain. Do your homework before making an offer. Have one of the Realtors with Team Teasdale Realty do a comparative market analysis. They will help you determine if the Santaquin home is a good deal or not. Make sure that the price you pay is comparable to other Santaquin homes in the neighborhood. Consider the costs of renovation, including time to complete them. Don’t get caught up in a ‘bidding war’ and pay over market value. It’s an old myth that “foreclosures” are a bargain. You can get a good deal but it takes knowledge and experience to make this happen. Be sure to hire Team Teasdale Realty to represent you when you are ready to buy aa Santaquin Utah bank foreclosure. Are you selling the property “As Is”? Is the bank willing to do any repairs? –Most banks selling homes in Utah County won’t do any repairs. On occasion some banks will do repairs. It is important to ask. The banks want to sell the home as-is. Have any inspections taken place for the property? If so, can you provide a copy of these inspections? Many banks and bank representatives will not make proper disclosures on the home and ask you to sign an as-is statement. This is changing in Utah County. As of the 4th quarter of 2011 the banks are now required to fill out a full seller’s property disclosure. Some banks and investors were aware of problems but had the buyer sign an “as-is” statement. This does not exclude the bank and or seller from withholding material defect information. Has the bank agreed to do any repairs to the home? If the bank agrees to do repairs confirm these are done prior to closing on the home. How is a Santaquin Bank Repo Delivered to the Bank? How will the offer be delivered to the bank? Most offers are delivered thru an online system. Once accepted additional paperwork is needed. How long should I expect the bank to respond to my offer? A bank can take anywhere from 1-7 days to respond. The offer is typically sent to the bank. The listing agent will take the originals. At this point you must have a little patience. It can take a few days for you to get a response from the bank. Many Realtors work weekends, but banks do not typically have anyone around after 5pm or on the weekends so you will not get a very quick response. Make sure you have a pre-approval letter or copy of a loan approval to go along with your offer. This will make the offer more attractive and help the bank make a decision. Make the offer clean and easy to read. Most agents will use a computer based program for generating all of the paperwork. The banks will not accept sale-contingency offers. I hope these tips will help you deal with any banks you may try and buy a home from. The best key to getting a bank foreclosure deal is hiring an excellent Realtor in Santaquin. Remember that the late night infomercials are not as easy as they appear to be. Team Teasdale Realty would be happy to help you prepare and make an offer on any bank owned property we can. We have the experience to make it happen. Paul Teasdale has been selling Santaquin Utah Bank Foreclosures since 1995 and is very experienced in negotiating with banks in buying homes for his clients.